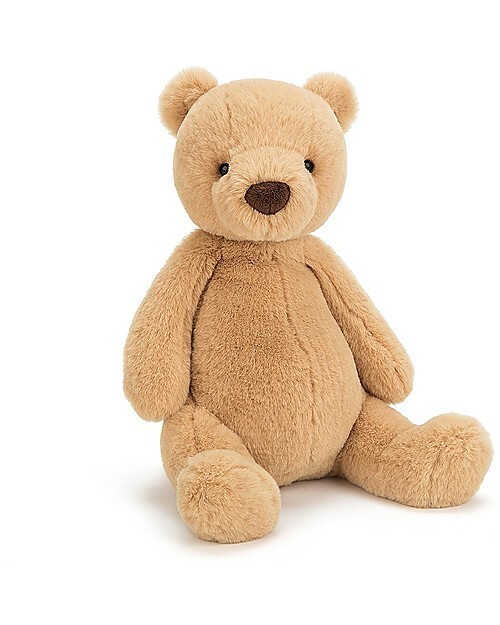 Puffles Bear by Jellycat is a timeless sweetie. 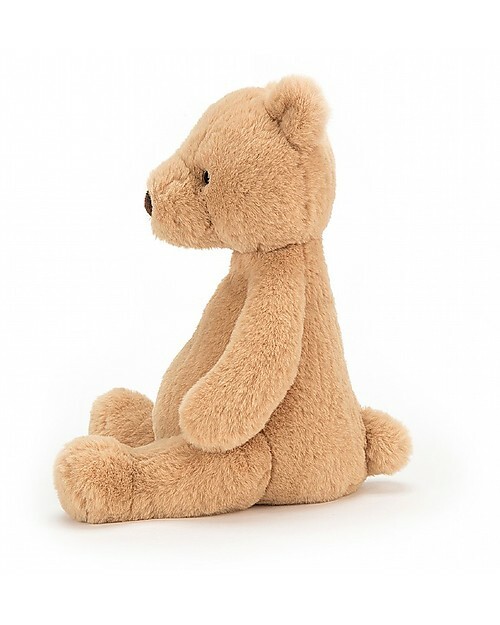 This vintage style teddy bear has short oatmeal fur, a chocolate-drop nose, shiny eyes, perky ears and super squeezable limbs! 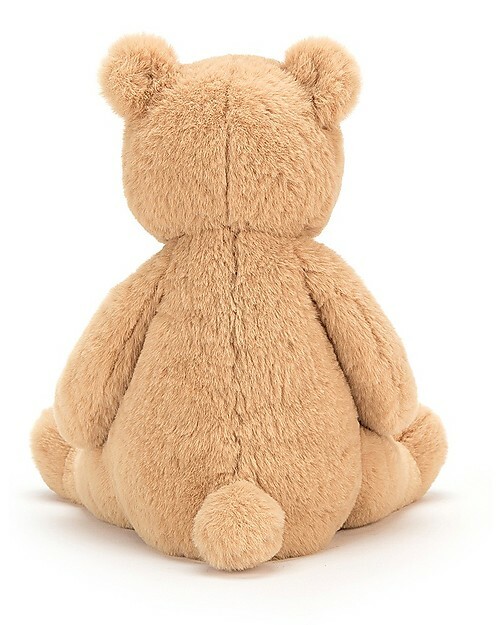 Made with luxurious fabrics in compliance with EU safety standards, this is an irresistible soft toy to hug and cuddle, the best friend for endless games during the day and a nice sleep at night. 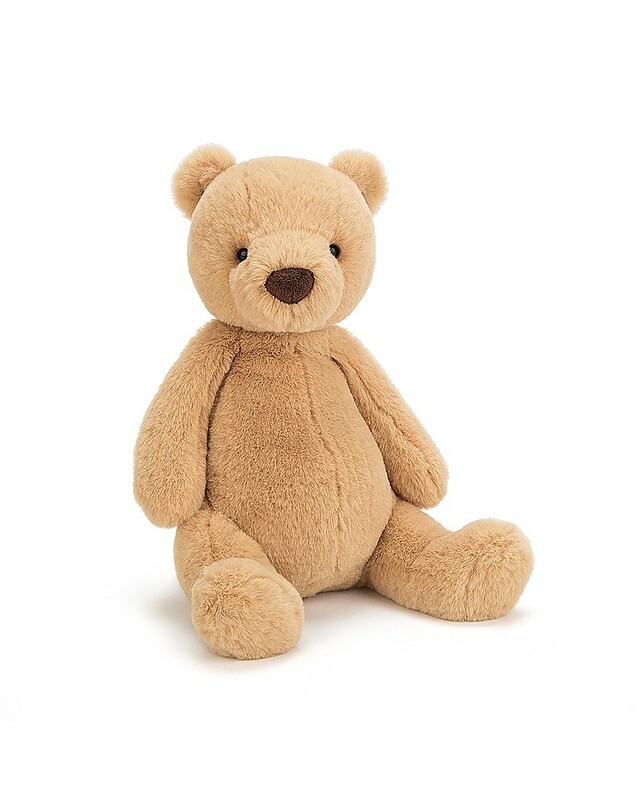 Perfect as your baby's first soft toy, it's a great gift idea for cuddles fans of all ages! A soft-hearted pal for sweet dreams and hugs!